With the arrival of the summer, most of us are planning our annual getaway and saving hard in order to pay for it. The truth is that most holidays are paid for on credit these days and there is nothing wrong with that. You do, after all, have a whole year to pay it back before booking the next one. Once you reach a certain age, say late thirties, many people need to slow down a little and take it easy. The ability to drink sangria all night and hit the beach first thing in the morning seems to have disappeared. Gravity also feels just a little stronger. It is around this time when people begin to look for more relaxing, and maybe intellectual, holidays instead of party vacations. If you are looking for a relaxing holiday this year, here are a few ideas that you may wish to consider for this summer. 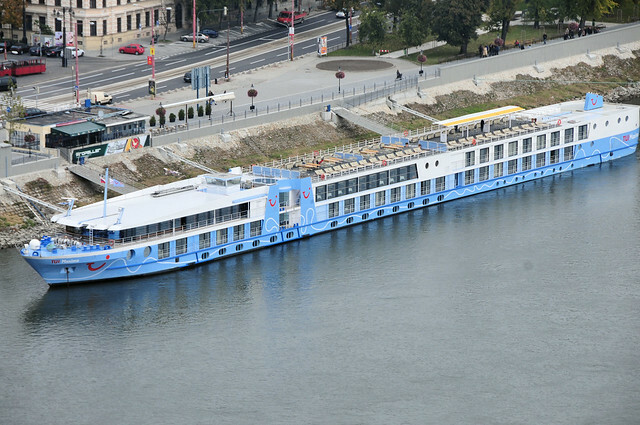 Whether you take off down the Seine or The great Volga river, a leisurely experience awaits you. Stay in the luxury cabins of new cruise ships and eat fine food as stunning scenery passes you by. The cruises will stop at ports along the way for you to visit towns and cities that you have read about and excursions are sometimes arranged for you to see the sights. Then it is back on board for entertainment and travelling to the next destination. The cruises run for up to ten nights and, though expensive, give you the experience of a lifetime. There is a lot to see on the other side of the channel, so why fly to the other side of the world before you have discovered everything that is on offer in Europe? You can click here for European tours from Adventure World, where the experts will provide high quality travel to some of the most interesting places to see. You will find tours that may involve exploration on foot or excursions by bicycle. Don’t worry, they are all done at a relaxed pace. The Mediterranean sea has a wonderful coastline with many interesting countries and cultures to be explored. As you pass Gibraltar and enter the sea, you will find the coastline of Africa on the right where countries such as Tunisia and Morocco await you. At the far end of the African coastline is Egypt where ancient wonders await the weary traveler. Maybe, however, you would prefer a cruise that moves along the European coastline instead. The ship may visit ports in Spain, Southern France, Italy, Greece, Cyprus, and many other countries that will welcome you with open arms. So, maybe this year you may choose to stay sober during your holiday, give the usual beaches a miss and head off on a cerebral adventure instead. Once you have tried this style of holiday it will be very difficult to go back to the booze fuelled weeks. In fact, you will be disappointed that you wasted so much time drinking and partying, when there was adventure to be had instead. Book your holiday now and give yourself something to look forward to.